I’m a bit busy these days, so I might not respond immediately. If you’re in a hurry, try hitting the forums. A) Fire Emblem: Awakening is a brand new Fire Emblem game for the Nintendo 3DS. It begins a completely new story, set on the continents of Ylisse and Valm, thousands of years after Marth’s adventures. Awakening is the first game in the series to feature paid downloadable content (DLC) and offer characters from previous games in the series for free via SpotPass and through the paid DLC. The game is out now in Japan, North America and Europe. Q) Is this game available in English? A) Yes, the game was released in North America on 4th February 2013 and in Europe on 19th April 2013. Q) I want to import the game: is there anything I should know? A) The Nintendo 3DS system is region-locked, so if you want to play the North American version of Awakening, for example, you’ll need a North American Nintendo 3DS console. Q) Do I need to play any other games in the series to understand the story? A) No, not at all. This game begins a new storyline, independent of the other games in the series. 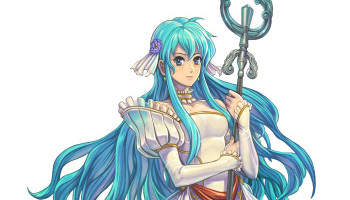 Generally speaking, Fire Emblem stories are usually told in pairs and beyond this, they have no direct connections to other games in the series. Awakening is slightly different from the norm, because it takes place thousands of years after Shadow Dragon and Mystery of the Emblem. 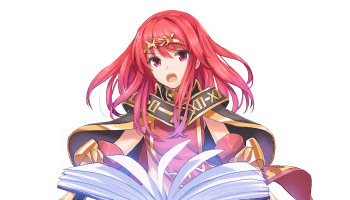 However due to the long passage of time, a lot of things have changed and Awakening does not reference these two games in ways that could confuse you. 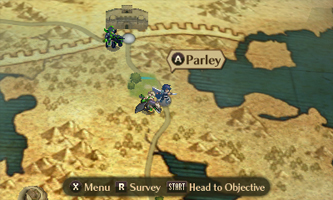 Q) Wait a second, did I just see Marth? How is that possible? 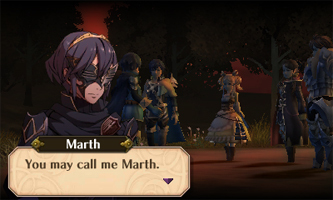 A) Yeah, that’s Marth, or at least somebody claiming to him. As for how it’s possible… you’ll have to play the game to find out. Q) What (new) features are there compared to other games in the series? A) First of all, I should mention that Awakening is a huge compilation of all the best elements throughout the Fire Emblem series. You’ve got stuff like the traversable world map and branched promotions from The Sacred Stones, the Marriage and Skills systems from Genealogy of the Holy War and the support conversations from Binding Blade, amongst many others. As well as all this, Awakening introduces the Dual and Pair Up systems, which greatly improve the strategic aspect of the game and make the relationships between characters more prominent. The game also makes great use of the 3DS’s communication functions, using SpotPass to deliver free, new content (such as characters from previous games in the series and new sidequests) and paid DLC to further prolong an already lengthy game. Q) Can I make my own character in this game? A) Yes you can. The Avatar feature returns from Heroes of Light and Shadow, allowing you to create your very own Fire Emblem hero. Q) Do characters still permanently die in battle? A) Yes and no. When you begin the game, you can choose to play in Classic or Casual mode. In Classic mode, characters do not come back after reaching 0 HP, while in Casual mode, fallen allies will return in time for the next chapter, with no penalties. Furthermore, your choice of Classic or Casual mode doesn’t restrict your choice of difficulty level. So you could play on Casual mode and Lunatic difficulty if you so desire, for instance. Q) Is there a traversable world map in this game? A) Why, yes there is, Mister (or Miss) The Sacred Stones fan. Q) What is the class-change system like? A) This game features branched promotions, just like The Sacred Stones, where characters can upgrade to one of two promoted classes by using a Master Seal item. Additionally, characters can reclass to a completely different class by using a Second Seal item—unlike in earlier games, the classes a character can reclass to vary according to character. For more details on both forms of class-changing, please check the Class Changing page. Q) Are there support conversations in this game (and proper ones too)? A) Yep! This game probably features the largest number of support conversations, partially thanks to the Marriage system. Some fans might be relieved to know that the support conversations in this game are full length, unlike Radiant Dawn‘s bare-bones conversations. Q) How do the supports and support conversations work in this game? A) Support relationships can be built by making characters fight adjacent to their comrades through the Dual system or together with the Pair Up system. Characters can form an unrestricted number of support relationships with their available support partners, but they can only form an S support level (the highest level of support available) with one character. As usual, support conversations are unlocked upon reaching a C, B, A or S support level, and these can be viewed when outside of battle. For further details, including a support compatibility list, please check out the support page. Q) How does the Marriage system work? playable character (gender permitting) and they have an unique, short “love confession” scene with each of their marriage partners. Q) How do the children work? Is there a 2nd Generation? page for further details on this subject. As for the 2nd question… No, there isn’t a 2nd Generation and instead the children fight together with their parents. If you’re confused, there’s a story-line reason for this. Q) How do the team-up attacks work? Q) Are Marth and Roy in this game? A) They are actually, although Roy is relegated to SpotPass and DLC. Q) Are there multiplayer battles in this game? A) Not in the traditional sense. You can challenge other players’ Awakening teams via StreetPass, but you won’t be directly facing other players and instead the computer. You can play with real players, but only co-operatively in the Double Duel mode. Q) SpotPass, StreetPass, what’s the difference? A) SpotPass and StreetPass are two different yet similar methods of communication native to the 3DS system. SpotPass involves your 3DS connecting wirelessly to the internet to retrieve data that is used to access additional content within your game. Via SpotPass, you can recruit up to 120 characters from previous games in the series, obtain rare items and unlock new sidequests, which allow you to recruit elusive characters. StreetPass refers to communication between two 3DS systems, each with a copy of Awakening. Players can create a “StreetPass Team”, consisting of characters they’ve trained in the main story, which they can use to challenge players via StreetPass. 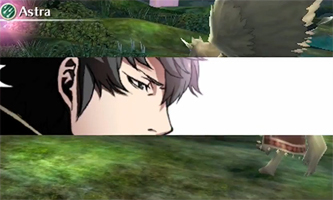 After passing another Awakening player, each player’s StreetPass Team will appear on the other player’s world map and they can challenge that team in their own time and obtain the other player’s Avatar. Q) Wait, the DLC in this game requires you to pay for it? How does that work? A) There are two forms of DLC (downloadable content) in this game—SpotPass content, which is free, and the actual paid DLC—both of which are released periodically. The paid DLC focuses on Chrom’s adventures in other worlds and contains new data—usually a legacy character with a new design and sometimes new items or unit classes. You can pay for the DLC by adding funds through the Nintendo eShop, either with your credit card or with a Nintendo pre-paid points card. Q) Is there a difference between legacy characters obtained from SpotPass or the paid DLC? A) The SpotPass characters always use their original artwork for their portrait (e.g. 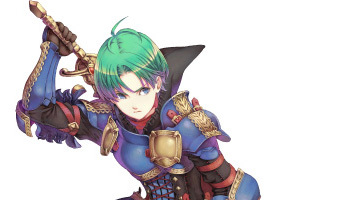 Innes uses his The Sacred Stones artwork), while the DLC characters have brand new artwork, drawn by various guest artists. The SpotPass and DLC characters also have different stats and Skills, but this is rarely important. Otherwise, the SpotPass and DLC characters function exactly the same, and they even share the same pool of characters, but there are much more (free) SpotPass characters compared to (paid) DLC characters. Q) After purchasing and completing a DLC episode, can I replay it later? Q) Are the DLC rewards one-time or can you obtain them again and again? A) You can obtain the rewards each time you complete the episode. Q) I received a paralogue from SpotPass, but how do I reach it? A) You need to complete the second-to-last chapter, Chapter 25 first. Q) Oh no, I missed a SpotPass content or DLC! What do I do now? A) You can’t actually miss SpotPass content or DLC. Whenever new SpotPass content or DLC is released, it will be available forever (or at least until Nintendo shuts down their internet servers). Q) Can the legacy characters from SpotPass or DLC support? I want to marry Lyn! A) I’m afraid not. In fairness, there are over 120 of these characters and there are a ton of support conversations between the story characters anyway. Note that characters recruited from SpotPass paralogues are treated as normal story characters and can support. Q) What happens if, for example, I obtain Roy from the DLC and then try to obtain his SpotPass version (or vice versa)? A) You’ll end up having two Roys in your army, as SpotPass and DLC characters don’t overlap with each other. Q) Whoops, I let one of my DLC or SpotPass characters get killed… Is there, um, a way to get them back? A) You can re-obtain DLC characters by replaying their DLC episode and SpotPass characters by re-summoning their group via the Bonus Box, but bear in mind that they’ll be treated as new units and thus won’t carry over their old stats. You can also re-summon characters registered in the Avatar Logbook for a price and they will keep the stats they had when you last registered them (although, the higher their stats are, the more gold you’ll need to re-summon them). Q) Is there a limit to how many SpotPass or DLC characters you can obtain? A) Unfortunately there is—your army can contain a maximum of 20 bonus characters (SpotPass, DLC characters or guest Avatars). If you recruit any more bonus characters, you will be asked to remove an existing bonus character to make space. Note that characters recruited through SpotPass-exclusive paralogues count as regular characters and not bonus characters, so they don’t count towards the maximum. If you’re intending on collecting bonus characters, don’t fret because you can use the Avatar Logbook, which exists across all game files, to store a maximum of 99 bonus characters. Still, there’s around 120 SpotPass characters and over 10 DLC characters, so you won’t be able to save every bonus character in the Logbook, but I guess you could spread the surplus characters across different game files. Q) What’s this about guest Avatars? A) Guest Avatars are Avatars not native to your current game file, which can be obtained by StreetPassing other Awakening players or by registering Avatars from your other game files in the Avatar Logbook and then summoning them to your current game file. Guest Avatars are treated as bonus characters, in the same vein as SpotPass and DLC characters, so you can train them, but you can’t support with them. Q) Can I include guest Avatars, SpotPass or DLC characters in my StreetPass Team? A) You can, but there’s a caveat: in the North American and European versions, placing legacy characters from SpotPass or DLC in your team causes a glitch that prevents your team from showing up on other players’ games. In all versions of the game, guest Avatars can used without any problems. Q) What happens if I use a DLC exclusive character (etc.) in my StreetPass Team and StreetPass a player who hasn’t bought the DLC? A) The player who doesn’t have the DLC installed will see a “mystery” portrait for your character and place-holder “Outrealm” classes, items and Skills (which, except for the items, have the same properties as the full versions). Q) Wait a second, how do I choose my Avatar’s class at the very beginning? A) You can’t. However, during the course of the game, you may use a Second Seal at any time to change their class to any class, gender permitting, and excluding special classes like Taguel or Dancer. Q) What are those sparkly tiles on the battle map? A) Those are Event Tiles, which grant a variety of random bonuses when a character waits on them. Every map has these tiles and usually exactly two of them. Q) Why don’t I see the Pair Up command anywhere? A) If you’re playing on Normal mode, you need to disable the Slide Guides or wait until Chapter 3. Q) Do you have to do the paralogues in a particular order? Q) How do you promote Donnel? VIllager is rubbish! A) Villagers don’t promote, but you can reclass Donnel using a Second Seal when he’s Level 10 or above. You might want to wait until Level 15, so he can learn the Underdog Skill. Q) Is there a limit to how many times you can change class? A) Not all all. Although, naturally, you’re limited by the amount of gold you’ve got to buy class-changing items. Q) When do Chrom and your Avatar promote? A) At any time when you have access to a Master Seal. Unlike most games in the series, Chrom’s promotion is not tied to the advancement of the storyline. Q) Can Dark Knights use Dark magic? A) You might think so at first, since they promote form the Dark magic-wielding Dark Mages, but I’m afraid they don’t. The only classes with the innate ability to wield Dark magic are Dark Mages and Sorcerers. Q) What happens if you “demote” a character using a Second Seal? A) Nothing special, besides the character’s stats decreasing slightly. 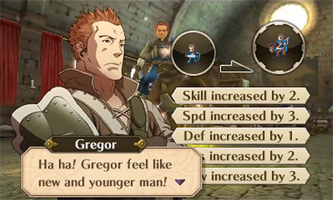 If the character has very high stats in their promoted class, they may receive a large reduction in stats, due to the non-promoted class’s lower maximum stats. However, don’t fret, because the game will remember the actual, higher stats when you reclass them back to a promoted class again. Q) Can you get more Beaststones and Dragonstones? A) Yep, you can buy them from certain armouries on the world map. Just keep your eyes peeled. Q) Do certain Skills only work when you’re a particular class or require a certain weapon type equipped? A) Nope. Once you’ve learned a Skill, you can use it in any class (well, Special Dance is useless when you’re not a Dancer). This even applies for “Mastery” Skills like Lethality, which can be activated in any class and with any weapon type. Q) Is there a limit to how many Skills a character can learn? A) Well, characters can only equip a maximum of 5 active Skills, but they can have any number of inactive Skills (which is important for your Avatar who can potentially learn toooons of Skills). Q) Can you swap Skills between characters? A) No, each character has their own pool of Skills. Q) Can you save Emmeryn in Chapter 9? A) No, but you can recruit that character in a paralogue obtained via SpotPass. 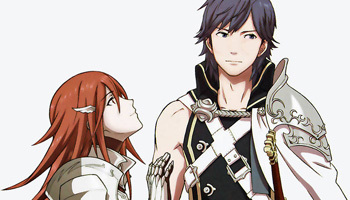 Q) What happens if Chrom isn’t married by the end of Chapter 11? A) Due to plot reasons, if Chrom isn’t married by the end of Chapter 11, he will automatically marry the female whom he shares the highest support level with. If Chrom hasn’t gained enough support points with any of his marriage candidates or if all of his marriage candidates are already married, he will marry a generic village maiden. For more details, please go here. Q) Wait, how is it possible to pair Chrom with Olivia when they can’t even raise their support level? A) As long as Chrom and Olivia have accumulated a significant amount of support points during Chapter 11 (and more than Chrom’s other marriage candidates naturally), Chrom can still marry Olivia. 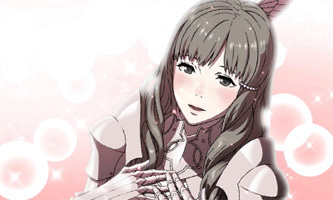 If Chrom has support levels with his other candidates, you’ll need to marry them off before starting Chapter 11. Q) Do I need to make characters marry to complete the game? A) Nope, marriage is completely optional. However the children characters obtained via marriage can be useful. Q) What does the final choice do? A) It determines which ending you get—Chrom’s ending or Avatar’s ending. Q) I’ve finished the game, but who are those silhouettes in the support library? A) They’re most likely children characters you haven’t recruited yet, or characters recruited from the SpotPass-exclusive paralogues. You may also be seeing the Avatar or Morgan of a different gender than yours. Q) Is there a post-game or new game plus? A) I’m afraid not, but after completing the game, you will be able to continue your game file as it was before attempting the final chapter. Paralogues obtained via SpotPass can only be accessed after clearing the penultimate chapter and the higher difficulty DLC episodes can only be realistically tackled by an end-game party. Q) Does anything transfer over to a new game? A) You can transfer your Renown from a completed file (if you have multiple completed files, the game will choose the highest Renown), as well as your Avatar Logbook (which exists globally between all game files anyway). Note that if you gain Renown in a file that’s been completed, the game doesn’t count your new Renown for transfers unless you complete that file again. Q) Why can’t Chrom support Cordelia? A) While Cordelia certainly has feelings from Chrom, she was designed as a “Catria” character in mind—the original Catria held hidden feelings for Marth—so she cannot begin a relationship with him. Q) What’s up with the Deadlords in Chapter 22? A) These fellows are a right mystery, but there origins are cleared up very slightly in the DLC episode “Infinite Regalia”. It seems the Deadlords are heroes who fell in a battle to save the world and may include Chrom and his companions from the Grima-invaded world and possibly fallen heroes from other worlds (explaining the Deadlords possessing the holy weapons of Jugdral in Chapter 22).